We’ve reviewed a tonne of laptops and played around with even more. Whether you’re looking for a cheap device or a powerful gaming machine, we’ve combed through our archive to pick the very best portable computer for you. A person who just wants a really good laptop that balances power, price, and design so well you won’t have buyer’s remorse. It’s hard to deny the appeal of Huawei's MateBook X Pro. This laptop looks like could have been designed by Apple, except it runs Windows. It’s fast, attractive, and at £1,200 for an i5 CPU, 8GB of RAM, and a 256GB SSD and a discrete GPU, the MateBook X Pro is pretty dang reasonably priced too. If you’d prefer a Mac we suggest the updated MacBook Pro with Touch Bar, which we’ve actually found to be the fastest 13-inch laptop we’ve tested, regardless of operating system. Though Apple did just announce the MacBook Air, a much cheaper laptop. It looks great but also has a much, much slower CPU – something we’ll look into when it’s available for review. A person who mostly uses a computer to browse the web, watch some movies, and edits the occasional photo in Lightroom or Photoshop. You don’t want the performance of a budget machine, but don’t mind compromising a little on design or other features. 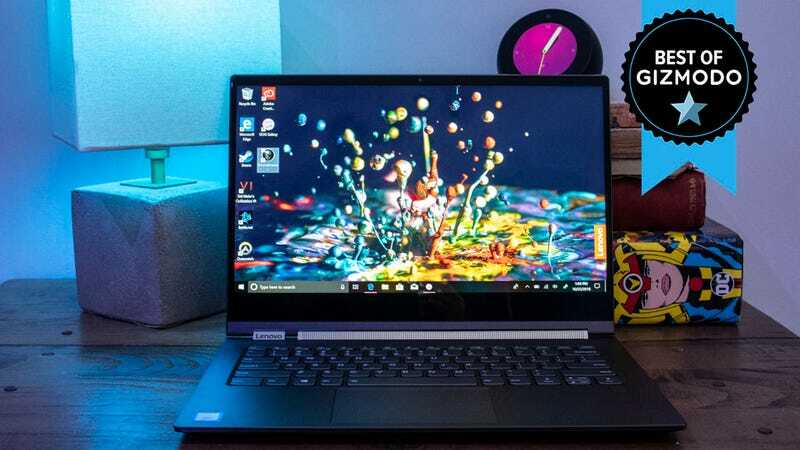 There are quite a few solid devices you can get for under £1,000, but in our opinion none pair performance and design as nicely as the Yoga 700 series. This is a well-built machine that doesn’t feel too heavy and has those excellent 360-hinges that let it turn into a chunky tablet in a pinch. 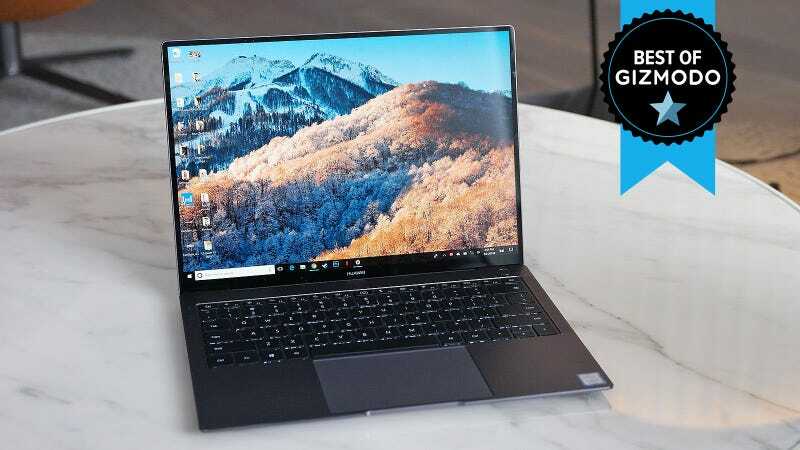 The Dell XPS 13 comes in a whole wide range of configurations, which can make it frustrating to shop for – especially on Dell’s less-than-stellar website. But the XPS 13 is impeccably designed and for £1,000 there’s an i5 configuration with 8GB of RAM that will be fast enough for most tasks. Price is the most important consideration when it comes to buying a laptop. You want to pay as little as possible without sacrificing everything. 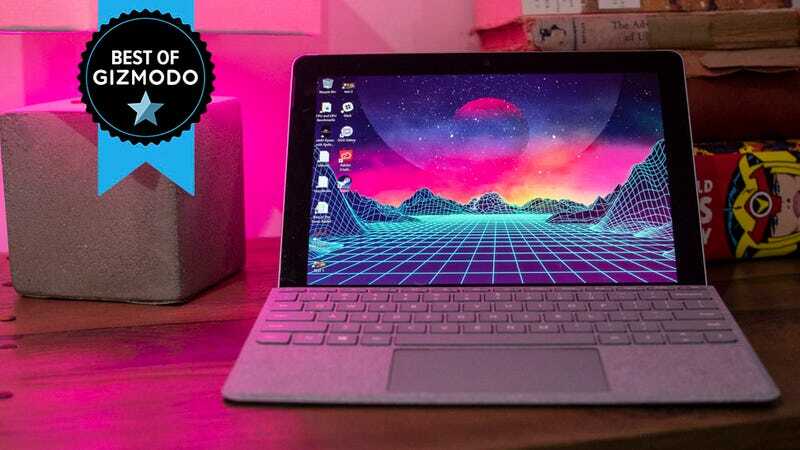 Okay, the Surface Go isn’t the most practical laptop available: It’s definitely a 2-in-1 that converts from tablet to laptop with the use of a keyboard cover, but there is no other device at this price range that will have the same fit and finish as the Surface Go. Windows 10 has also been modified to perform a little better on the slow Pentium 4415Y CPU it and many other $500 and under laptops use. The Surface Go starts at £379 for 64GB of SSD and 4GB of RAM, but the £509 version with 128GB of SSD and 8GB of RAM is the better buy. Unfortunately, you’ll also have to factor in £100 for the keyboard cover. If you absolutely need something cheaper we’ve examined the lineup of devices for under £500 here, though we recommend spending £500 or less only as a last resort. A power user who needs extra graphics performance for gaming or some other specialise task. It’s a challenge to find a laptop that can crunch video, while also handling games, and lasting more than a couple of hours on a charge. We found the 15-inch Razer Blade up to the task. 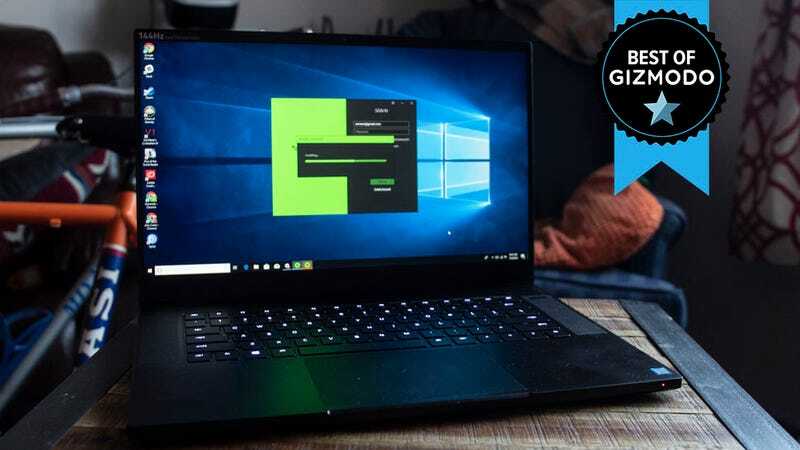 Its battery life is superior to any other gamer or workstation with discrete graphics that we tried out, and it’s both fast and slim enough that you won’t hate carrying it around in a bag. It is expensive though. All that performance in a decently small chassis starts at £1,480 for an i7, 16GB of RAM, 128GB of SSD, and a Nvidia 1060 GPU. If you want a more powerful Nvidia 1070 and 256GB of SSD, the price jumps to £2,150. And if you really want power, and don’t mind lugging around an enormous beast of a laptop with pitiful battery life, then we recommend MSI’s GT75 Titan 8RG... though it does start at £2,800. A person who just needs the internet. No muss. No fuss. 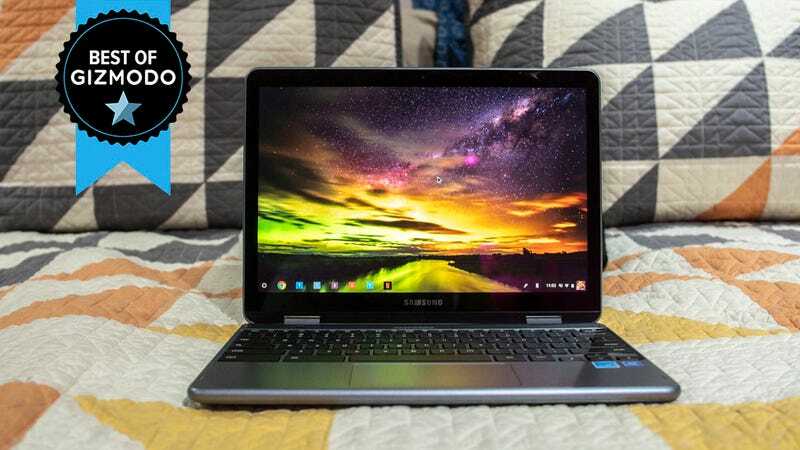 If you’re on a budget, or tired of the Windows or macOS, a Chromebook is a great alternative that can do all but the most demanding of tasks. We’re especially fond of Samsung’s Chromebook Plus v2. Unlike most ChromeOS devices it has a stunning display. It also has excellent battery life and 360-degree hinges so it can double as an Android/Chrome OS tablet. We’re not inclined to recommend a cheaper Chromebook, as the display quality drops off significantly. Meanwhile, the more expensive $1,000 Pixelbook is just too pricey for a Chrome OS device. But we are curious to check out Google’s new 2-in-1, the Pixel Slate, which was announced in October. A person who really wants a computer that can switch between laptop and tablet and back again. 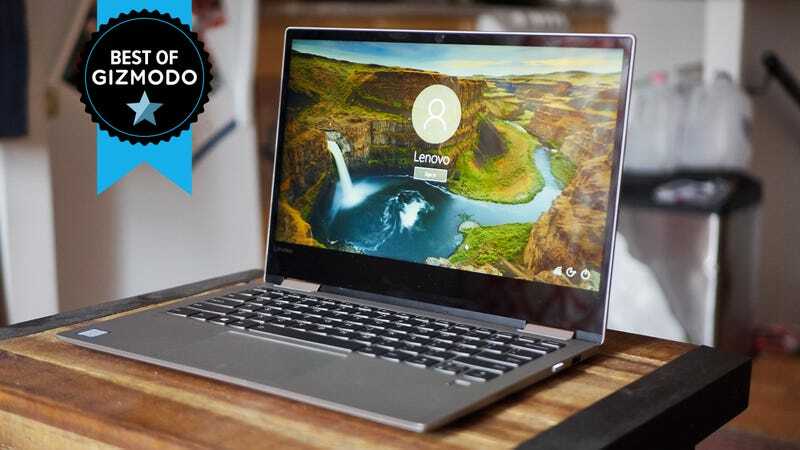 If you really need to be able to draw all over your laptop and then write a few thousand words, the Lenovo Yoga c930 is the best around. Starting at £1,400 for an i5, 8GB of RAM, and 256GB of storage, the c930 is not cheap, but its hinge, with the speaker built right in, and the garage on the back for the stylus make this the most thoughtful laptop with a touch display. If you’re drawing or designing more than you’re browsing or writing then forget the Yoga c930 and consider the Surface Pro 6. It’s a tablet-first 2-in-1 which means the experience of typing on your actual lap isn’t ideal, but it should be great for drawing and playing touch-based games like Gwent. We haven’t reviewed the 6 yet, but we quite liked the 5.